No matter who you are or what situation you’ve found yourself in, the team at A-1 Affordable Bail Bonds is here to help. If you’re in need of bail bonds in Louisiana, put your trust in our team to be there for you when you need help the most. 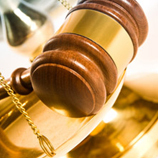 Our goal is to be the best source for bail bonds in Louisiana and we take that goal seriously. When you work with our team, you can rest assured that you’ll be treated like family from the minute you contact us. Are you in need of a bail bond? We’re here to help. Want to talk to an expert bondsman? Click here to call us now!